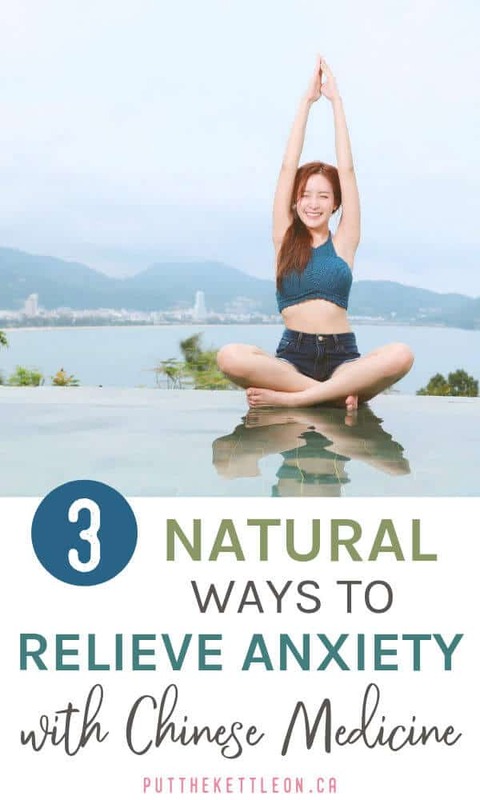 Want to Treat Anxiety Naturally? Chinese Medicine Can Help. Anxiety is something we can all experience whether it’s mild or a more serious condition. So I’m excited to welcome Sabrina from The Budding Optimist who is guest posting for us today. She shares how Chinese medicine can help you relieve the symptoms of anxiety. 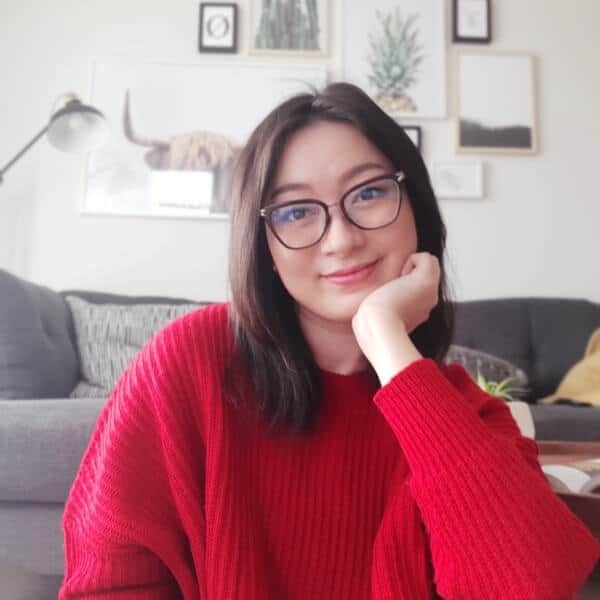 Check out Sabrina’s blog and connect with her on social media (details at the bottom of the post). I had my first panic attack when I was 19. It happened shortly after I was diagnosed with Leukemia. I was in the hospital at the time receiving a blood transfusion—part of my regular routine at the time as a cancer patient. Suddenly I felt an alarming tightness around my neck. Frightened, I started choking for air like a fish out of water. The sensation was so intense it sent what felt like electric shocks down my back and soon I was numb all the way from my lips to my toes. But turned out I wasn’t dying. Not even close. All my vital signs were normal, saved for a slightly fast heartbeat. A nurse rushed to my side and told me to inhale deeply and exhale slowly as she held my hand. I followed her instructions. Within a few minutes, the tightness around my neck went away and the numbness retreated to a faint tingle. That was when I found out how scary anxiety can be. For the next few years, while I battled my illness, anxiety followed me like a dark shadow. I became accustomed to the chest tightness, the acid reflux, the heart palpitations, and the sleepless nights. The worst was the sleepless nights. Fed up, I began to search for ways to cope with my anxiety. At the time I had a huge stack of prescription drugs I had to take on a daily basis, so piling more pills onto that stack wasn’t an appealing option. I wanted something that could help ease my anxiety without adding another page of possible side-effects to the already mile-long list. I found the solution in an ancient natural healing practice—Chinese medicine. Chinese medicine, officially known as Traditional Chinese Medicine (TCM) or sometimes called Chinese herbal medicine, is a health and wellness system the ancient people of China developed thousands of years ago. The basic philosophy behind Chinese medicine is that we all have qi (pronounced “chi”), a vital life energy flowing within our body. We also have two opposing and yet complimentary forces called yin and yang that support our qi. If kept in harmony, these forces help our qi run smoothly throughout our body. Our job then is to maintain a delicate balance of yin and yang and keep a steady flow of qi. If somehow our qi gets out of whack, it could result in all sorts of problems from the common cold to the more serious illnesses like cancer and heart disease. And yes, according to Chinese medicine, a deficiency in qi can lead to anxiety. How Does Chinese Medicine Work for Anxiety Relief? Chinese medicine views our entire body as a system of connecting web where the physical body, the mind, and the spirit all link together. It’s not uncommon then for a practitioner of TCM to tell a patient that issues of the mind like insomnia and low mood are connected with problems in the body. Common TCM treatments for anxiety include acupuncture and herbs to help support the body in its battle with the physical symptoms of anxiety. But that’s just part of the equation. To treat the root cause of anxiety and restore calmness to our mind and spirit, practitioners often recommend moving meditation practices such as Qigong meditation or Tai Chi. This holistic approach attempts to treat anxiety from all aspects of body-mind-spirit rather than simply easing its symptoms on the surface. Chinese medicine is completely natural and poses few risks for serious side-effects. There are many other benefits of Chinese medicine which I won’t go into detail here. For the best result, I recommend seeking an experienced TCM practitioner in your local area, however, if you can’t find a good one nearby, that’s okay! 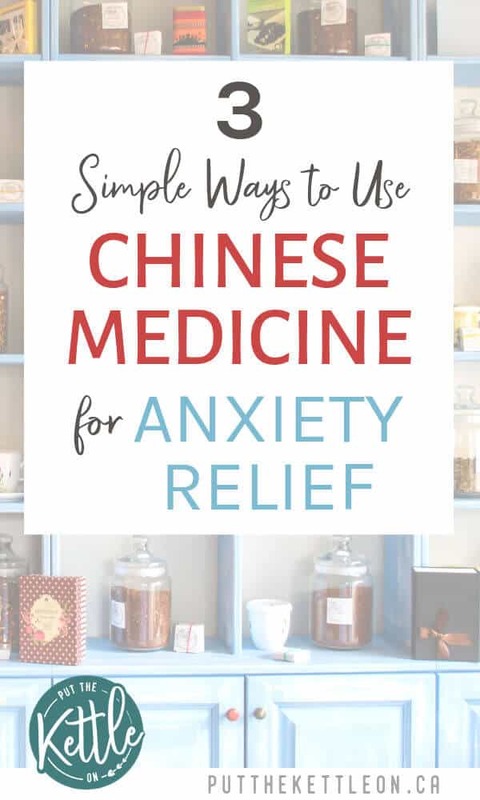 There are still plenty of ways you can use Chinese medicine for anxiety relief yourself, and today I’m going to show you how! How to Use Chinese Medicine for Stress and Anxiety: 3 Simple Methods. A huge part of Chinese medicine involves using natural herbs to both treat and prevent various health issues. In the case of anxiety, herbs can help strengthen the body while alleviating the physical symptoms of stress. Typically a TCM practitioner would prescribe a formula consisting of different herbs to a patient based on their body’s constitution and make tweaks to the formula over time based on the patient’s progress. While this approach does provide the most patient-focused solution, it can get pretty expensive. And if you can’t find a good practitioner where you live, then this option is obviously out the window. There are plenty of herbs you can use without a specific formula to help with anxiety. These herbs are often easy to find on your own, mild enough for regular use, and require little to no preparation other than simple boiling. Ziziphus spinosa seeds (called “suan zao ren” in Chinese): a natural and safe sedative, one of the most well-known Chinese herbs for insomnia relief. American ginseng: a stress-relieving herb that grows mostly in North America. Its other benefits include providing energy and boosting immunity. Be careful not to confuse it with Siberian ginseng (Eleutherococcus senticosus) or Asian ginseng (Panax ginseng). I personally prefer the milder American ginseng as it is less stimulating than its ginseng siblings and has a milder, more palate-friendly taste. Licorice root: A sweet-tasting herb that helps regulate stress hormones in our body. It curbs sugar cravings too! Astragalus root (also called milk vetch or “huang qi” in Chinese): This is one of the most important herbs in TCM. It is commonly used to repair the immune system, fight fatigue, and promote cardiovascular health. Chrysanthemum: A popular household herb in China that boasts a calming effect, helps reduce inflammation, and improves the flow of qi. This yellowish flower looks and tastes very much like its cousin the chamomile, but with an added benefit of detoxifying the liver, which according to TCM, can help reduce anxiety. Where to Find Chinese Herbal Medicine? You can usually find these herbs at a Chinese herbal medicine shop, or in capsules or powder form at a nutrition store. Some are even available in tea form at major grocery stores. They’re also readily accessible online. 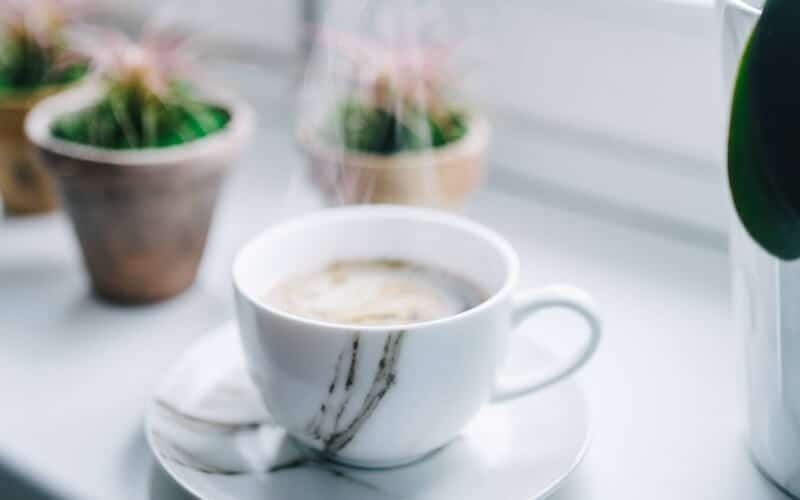 My personal favourites out of the bunch are American ginseng, licorice root, and chrysanthemum because not only are they effective as anxiety relievers, they’re also incredibly versatile. They make great tasting teas and work even better as side-kick ingredients in your cooking. Next time you cook chicken broth, try adding a few pieces of fresh American ginseng. It’ll add some interesting dimensions to the flavours! Herbs are great, but the only catch is it can take a while for their effect to kick in. And I know when you’re having overwhelming anxiety and panic attacks, you’re looking for instant relief. The symptoms are so excruciating you want them to end immediately. This is where acupressure comes in. Acupressure is a wellness practice with roots in Chinese medicine. Similar to acupuncture, acupressure works by stimulating different points along specific channels called meridians within our body. By pressing and massaging these different points on our body with our hands, we can help remove blockages along our meridians that may be causing pain, tension, or stagnation of our qi. This in turn, can help ease symptoms of anxiety. Research has shown that acupressure can help alleviate chronic headaches, improve sleep quality, and reduce pain. I can say from my own experience that acupressure really does live up to its claims. It has helped me with a number of stress-related symptoms such as tension headaches, chronic acid reflux, and chest tightness and pain. While acupuncture—with its use of specially designed long, thin needles—can generate a greater health effect in a shorter amount of time by penetrating deeper into these pressure points, it isn’t for everyone for obvious reasons. And even if you’re not needle-shy, acupuncture isn’t something you or I can easily do at home. Poking myself with needles? No thanks! Acupressure, on the other hand, doesn’t require the use of needles. All you need is your thumb, or I like to use the rounded tip of a fat pen for a more precise and deeper stimulation. It’s that simple! Want to give acupressure a try now? Main functions include opening the chest, reducing nausea, and calming the spirit. The Inner Pass acupressure point is located between the two tendons on both of your inner arms, about two inches below your wrist. Massage this point gently for 5 minutes a day by apply pressure with the top of your thumb. Main functions include easing chest pain and tightness, restoring energy, and calming the spirit. You can easily find this point by making a fist with your hand. The point is where the tip of your middle finger touches your palm. Massage this point in a circular motion for 5 minutes a day. Not only does acupressure works fast, but it’s also very safe. And the best part about acupressure is that you can do it anytime and anywhere. I can’t count the number of times it’s helped me stay calm right before a presentation or while sitting in afternoon traffic. …acupressure works fast and doesn’t cost a dime! 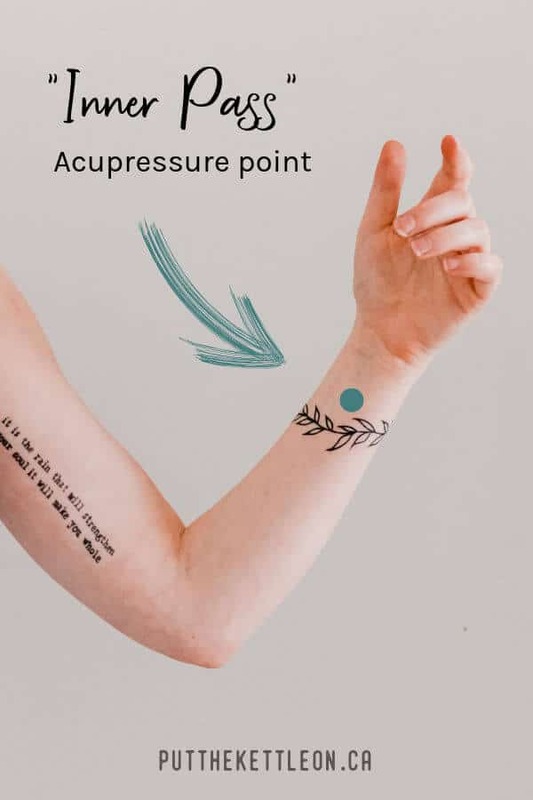 And if you’re interested in learning more acupressure points that will help reduce anxiety, check out my post about acupressure and other instant relaxation techniques. No doubt you’ve heard of meditation before, or even tried it, but did you know that there’s an alternative way to meditate beside sitting still? Yes, it’s called “Qigong meditation” (pronounced “chi-gong”)—a form of moving meditation with roots in Chinese medicine. Qigong in Chinese means “working on your qi”. The practice involves using specific movements, combined with controlled breathing techniques, to balance the qi and move this vital life force throughout your body. On a more basic level, Qigong is a low-intensity physical exercise that promotes deeper breathing and greater mental focus. These characteristics make Qigong an excellent practice for relieving physical tension and reducing emotional stress. Qigong meditation has become part of my daily routine since a few years ago and it’s not going away any time soon. It has completely changed the way I approach breathing and I credit it as one of the key reasons why my lung function has remained stable despite being diagnosed with a serious lung condition a few years back. I practice a form of Qigong meditation called “8 Pieces of Brocade”. It’s one of the simplest and most effective forms of Qigong meditation for beginners who want to strengthen their body and calm their mind at the same time. 8 Pieces of Brocade is essentially a sequence of 8 gentle movements specifically designed to help massage the meridians in our body and direct the flow of qi. These movements also help build muscle strength and improve flexibility. And when you combine these movements with a reverse breathing technique, it creates a powerful restorative and calming effect. The entire sequence takes less than 15 minutes to do. You don’t have to follow the sequence from start to finish every time either—you’ll still get its relaxing benefits even if you just concentrate on one movement for a few minutes a day. Ready to Give Qigong Meditation a Try? The below Qigong instructional video will show you the steps to “8 Pieces of Brocade”. The movements are slow and gentle enough for most people but remember you can always adjust the moves to fit your needs. For the best result using Chinese medicine for anxiety relief, consider seeking out a professional TCM practitioner who can provide you with a personalized treatment approach for your anxiety symptoms. NOTE: Although Chinese medicine is quite safe, it is advised to consult your physician before you try any new health practice. Remember, it should not replace any current treatment for anxiety you’re on and if your anxiety symptoms don’t improve, seek professional help. Sabrina is a Chinese-born Canadian blogger living in Vancouver, Canada. She was diagnosed with Leukemia at age 19 and as a result of her cancer treatments, she now lives with a rare and irreversible lung condition. But not one to let these health challenges stop her, she continues to travel, hike, play dodgeball and write in her blog “The Budding Optimist” where she shares tips, stories, and ideas that inspire people to live a healthy and happy life. Make sure to connect with Sabrina on Pinterest, Instagram and Facebook. I loved, loved , loved this article! 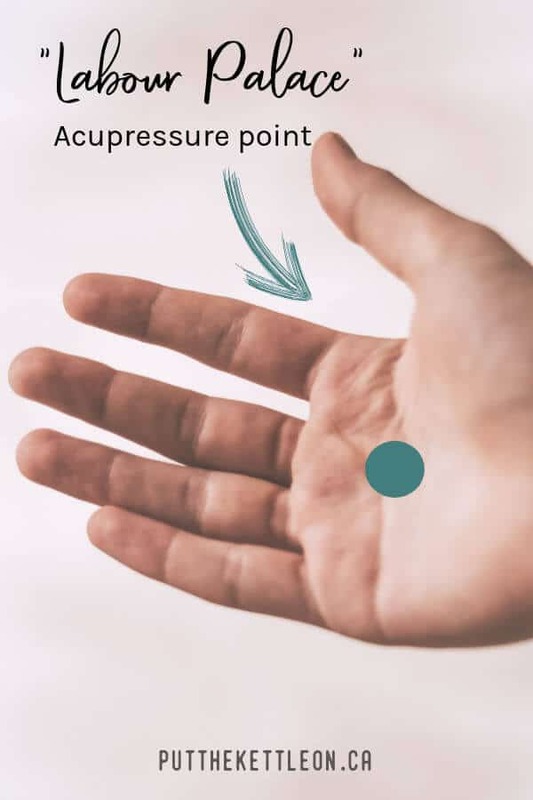 I loved learning about the acupressure points, I´ve always used acupuncture for physical problems I may have been going through, like sports lesions and similar issues but I did not know about this points that you could press yourself and feel the release immediately. I´ve already pinned this so I can refer back to it whenever I need. I’ve had a severe anxiety disorder for about 6 years and herbal remedies have been working great for me since I stopped taking my anxiety medication (it was making me like a zombie). I have my first appointment for acupuncture coming up and I’m beyond excited! These are all great tips! Thanks for sharing. A friend of mine is always telling me I should try TCM herbs and techniques to help with my anxiety. After reading this post, I just might try it! This is SO interesting! I’ve tried a couple of things to help with anxiety but have never tried Chinese medicine. Thanks for giving such a good overview on how to get started and different things to consider! I’m intrigued! This article is insanely helpful. I am going to start with Qigong meditation. Loved this post. I recently started looking into Chinese meds because I am completely turned off from Western medicine… Being a believer in the Most High, I am seeing how biblical practices line up more with Eastern med practices of modern day. Interesting article and definitely something to take into consideration. Thanks for sharing!